Kundalini Yoga helps you to raise your consciousness and be more aware of your breath. It gives you that extra time and energy that you've been looking for to do your daily chores happily. It calms and relaxes the mind, strengthens the immune system and helps you to stay fit and healthy, making you look and feel younger, healthier and happier. Kundalini Yoga originated in India thousands of years ago, although in those times it was kept a secret. It was never taught publicly until 1969 when Yogi Bhajan challenged the tradition of secrecy. Yogi Bhajan referred to it as "a toolkit for life, in these busy modern times". Kundalini Yoga, as taught by Yogi Bhajan, is the original and most powerful form of yoga. It is a yoga of awareness and experience. It is a yoga of everyday life and for every person, irrespective of your age or physical ability. Kundalini Yoga is primarily done with the eyes closed so one does not need to be self-conscious about oneself. 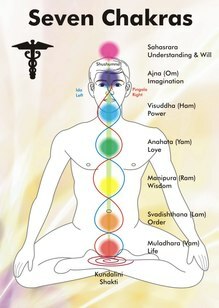 Kundalini Yoga is a complete science which includes a series of yogic postures and movements, breathing techniques, relaxation, mantra chanting and meditation. Within each one of us lies a dormant energy which is very powerful and creative. Unfortunately most of us are unaware or don’t know how to use it. It lies at the base of the spine - with the help of Kundalini Yoga, this creative energy can be released, balancing the chakras in the body and altering the chemicals in the brain, giving you clarity in the mind and thus enabling you to achieve your highest potential that lies within.